Attorney Rachel L. Bell was born in Nashville, Tennessee, January 16, 1978 to Mr. Dwayne L. Bell and Mrs. Beverly W. Bell. After Rachel's diagnosis with Type I Diabetes and successful management she was recognized by holding Vanderbilt Children Hospital's position of Youth Ambassador. In 1995, Rachel was featured on Peter Jennings World News, for her successful management of Type I Diabetes and her success on the basketball floor. Rachel graduated high school from Hillsboro High School in 1996, receiving a basketball scholarship to Auburn University in Alabama and later transferred to the University of Memphis to finish her collegiate basketball career. In her freshmen year at Auburn University, she participated on the 1996-1997 team that won the SEC Tournament Championship. During College and Law School Rachel contributed a lot of her time as a Spokesperson and Walk Ambassador for the Juvenile Diabetes Research Foundation in trying to raise money and awareness for Type I Diabetes. After graduating from The University of Memphis, Cecil C. Humphreys School of Law and passing the bar, Rachel decided to move back home in 2005 and start her law career. 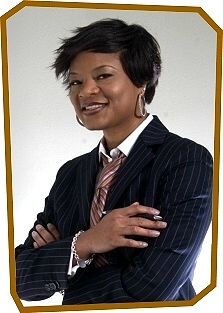 Rachel is the Owner/COO of Pinnacle Title & Escrow, LLC and the Managing Attorney for her law office. Rachel has become an experienced attorney that is proficient in several areas of the law, including a strong background in real estate law. Has a proven ability to negotiate and litigate complex transactions.